The notion might defy standard logic, but having fun while learning is a good thing. It's evidence-based: enjoyment heightens engagement and retention - an excellent reason to include gameplay in our blended learning campaigns. Game-based learning and gamification must be thoughtfully designed, drawing on the psychology of play and its usefulness as a learning strategy. 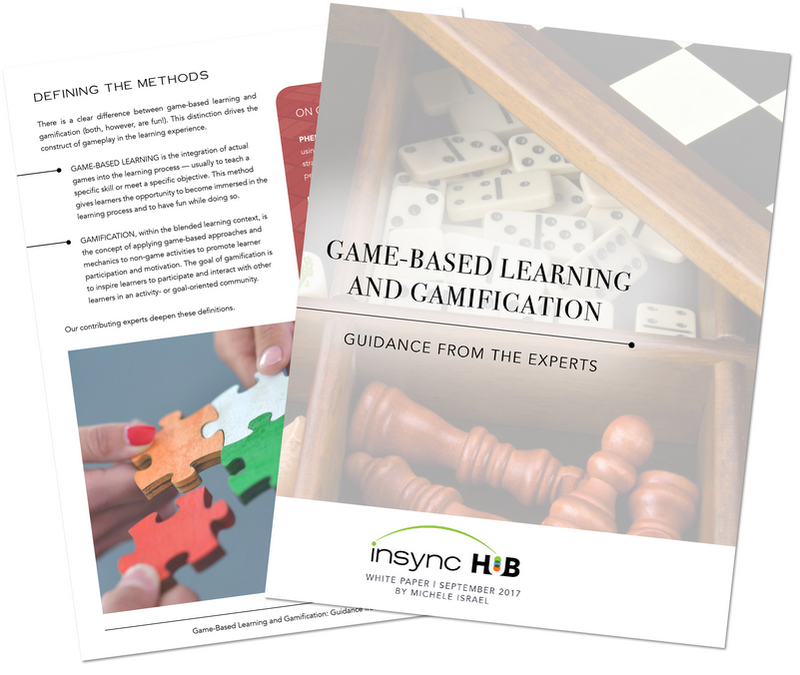 InSync Training tapped into the expertise of fourteen experts for advice and guidance on game-based learning and gamification. To receive your complimentary copy of Game-Based Learning and Gamification: Guidance from the Experts, written by Michele Israel, please fill out the form to the right and click on the Submit button.